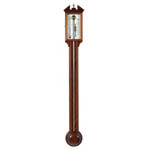 A barometer is an instrument used to measure atmospheric pressure. 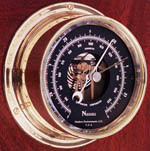 It can measure the pressure exerted by the atmosphere by using water, air, or mercury. 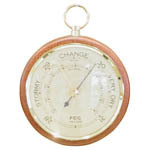 Pressure tendency can forecast short term changes in the weather. Numerous measurements of air pressure are used within surface weather analysis to help find surface troughs, high pressure systems, and frontal boundaries. 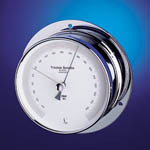 Once submitted, we will try and place you in contact with a suitable Barometers supplier within 48 hours.